Over just the past few years, shared micromobility services (scooters, bikes and others) have exploded in cities across the country, transforming the mobility landscape and challenging the ability of cities to manage them. 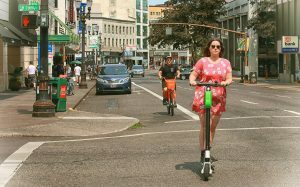 Since the initial introduction of dockless bikesharing systems in Seattle in the summer of 2017, dozens of companies have rapidly launched their services in hundreds of cities, served thousands of users and completed millions of rides—in just a little over a year. “The rapid emergence of these new micromobility services has created new clean and convenient options for people to get around, and they certainly offer a wealth of potential benefits. But there’s still so much to learn,” said Russ Brooks, T4America’s Director of Smart Cities. No cities were even considering the prospect of shared electric scooters two years ago, and now in 2019, hundreds of them are. This incredibly rapid pace of change is unlikely to slow anytime soon, and it highlights the need to create flexible regulatory frameworks that will help cities integrate new technologies and contribute toward their preferred long-term outcomes. 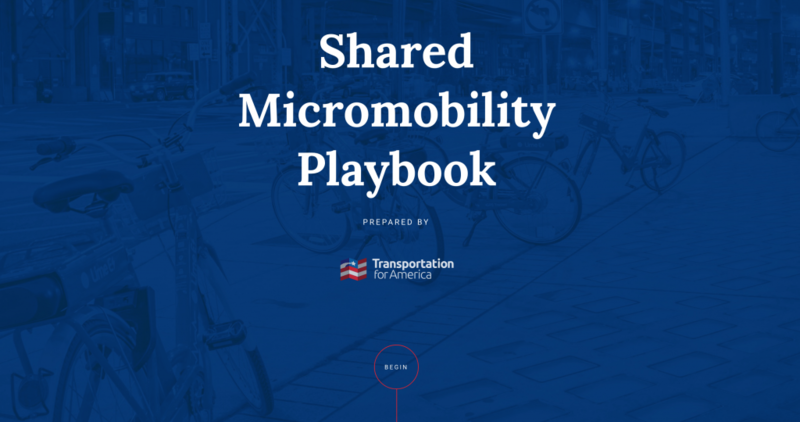 The Shared Micromobility Playbook is intended to help cities better understand the variety of policy levers at their disposal and explores the core components of a comprehensive shared micromobility policy for local governments as they consider how best to manage these services. “Santa Monica has been at ground zero for the micromobility revolution, having to learn—in real time—what works and what doesn’t as scooters appeared in our city virtually overnight,” said Francie Stefan, Acting Chief Mobility Officer and Assistant Director of Planning & Community Development for the City of Santa Monica. 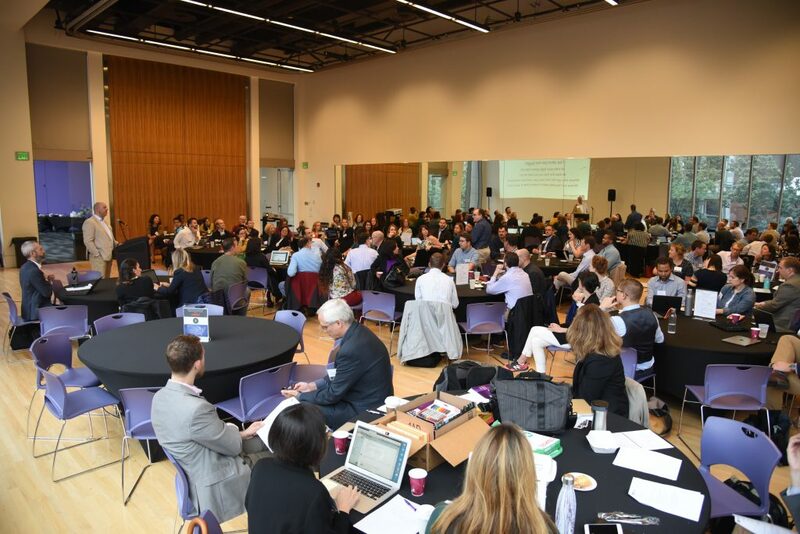 The Playbook was started during a September convening in Pittsburgh, PA with the 23 cities participating in T4America’s yearlong Smart Cities Collaborative. The Playbook was written as a result of that collaboration, additional conversations with cities across the country working on regulations, industry stakeholders including Lime, and research conducted by T4America. The convening of the Smart Cities Collaborative in Pittsburgh, PA where the Playbook was started with feedback from staff representing 23 cities. Each section identifies key policy areas to reflect on, highlights the various options in each policy area, reviews the pros and cons of each level of action, and provides case studies of cities that have enacted certain policies. Sections also include suggested national standards across cities, areas for cities to make local choices, and key considerations when deliberating policy options along with recommendations. T4America will continue to refine and expand the Playbook as we learn more about the ongoing results of the efforts to manage these services and ultimately the impact that shared micromobility is having in our communities. View the Playbook at playbook.t4america.org. Reminder: Join us on Monday, January 28th at 3:00 p.m. EST for an online session explaining the Playbook, how to use it, and how members of the Collaborative helped shape the content. Hi there. Is there a way to download this into a pdf format? I appreciate the innovation in style but still would like a pdf copy that is easy to share and read in a format that is more familiar. Hi thanks a lot for your efforts. It’s a very great report. As KS above mentioned, a pdf copy may be easier for sharing.